It is hard to believe that another year has come and gone so quickly. Many wonderful things have happened this year, I have met and become friends with loads of amazing people through blogging, I am truly one lucky girl, having each and everyone of you in my life has made me a better person. SMBP has been such an inspiring creative space for me, I have learned so much about the people that take the time to visit and leave a kind word or two. 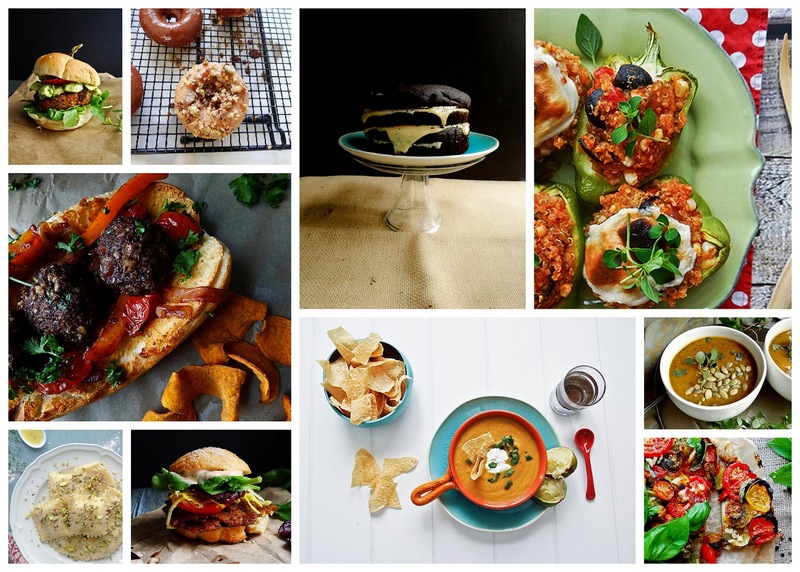 It is so much fun to look back and see how I have grown in terms of being more adventurous in the kitchen and photography, not only do I love creating and sharing recipes, I am equally in love with photographing the food and sharing those images with you too. So, from the bottom of my heart, thank you for visiting, inspiring me on a daily basis and well, just being absolutely wonderful & caring - you make the world a better, tastier & kinder place. this was one of my favorites too! Justin & I still make this a few times a month - so good! THANK YOU Richa for that crazy good salted caramel! Acorn Squash Ravioli with Thyme Garlic "Butter"
you can't go wrong with baked donuts, but three ways? Get outta town! 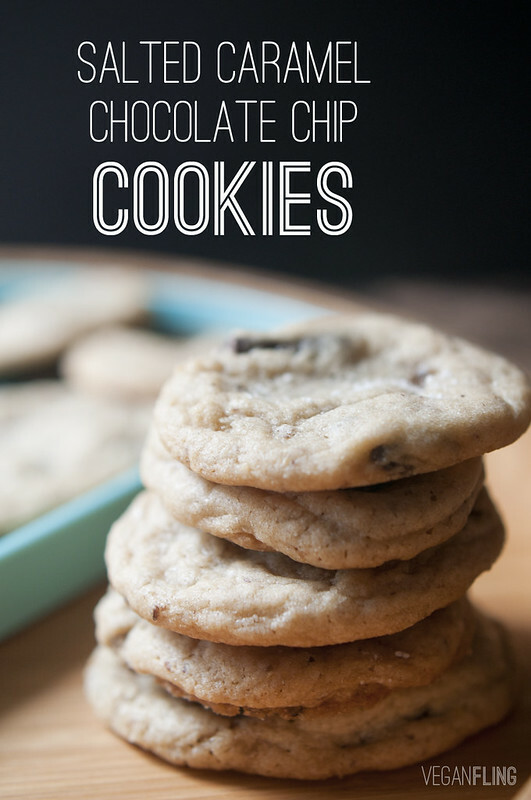 My sister declared these the best cookies ever and let me tell you she is one tough critic. 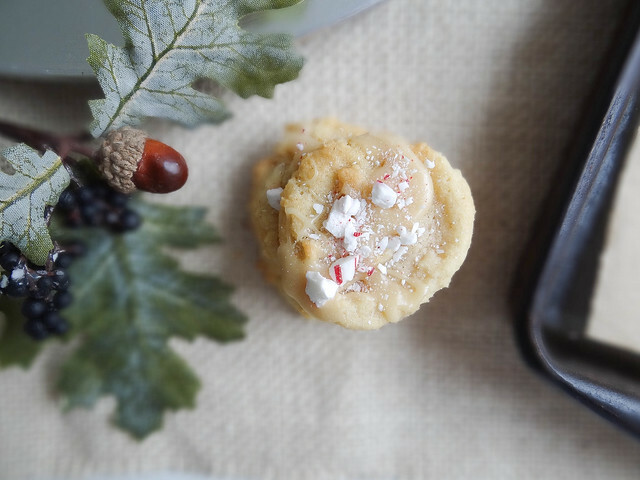 Peppermint, white chocolate and crushed candy canes, when combined create the perfect Christmas cookie. I made up a few batches - the first were included in my Christmas Cookie boxes, the second batch was shared with my fellow team members at work. No matter who you share these peppermint cuties with they are sure to put a smile on every ones face...so long as they like peppermint that is. It's just not Christmas without truffles - rich and chocolaty, they are the perfect bite-sized holiday treat when you are looking for just a little something sweet. 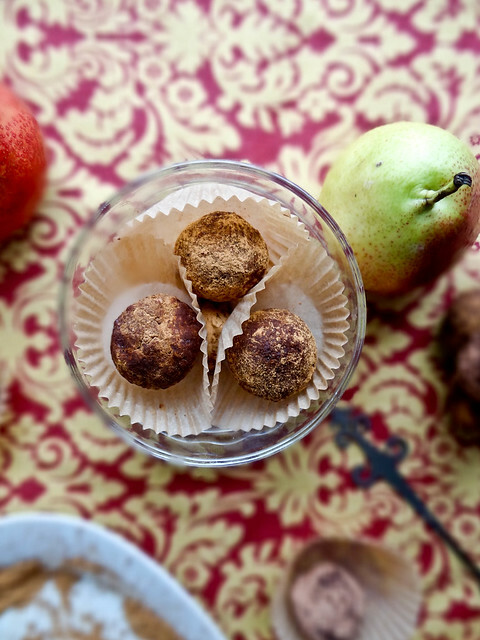 Truffles are super easy to make, no stove top or oven required - just 15 minutes of your time, a few ingredients and cute containers to display your handcrafted truffles which are sure to make your friends and family smile this holiday season. Guess who's back! 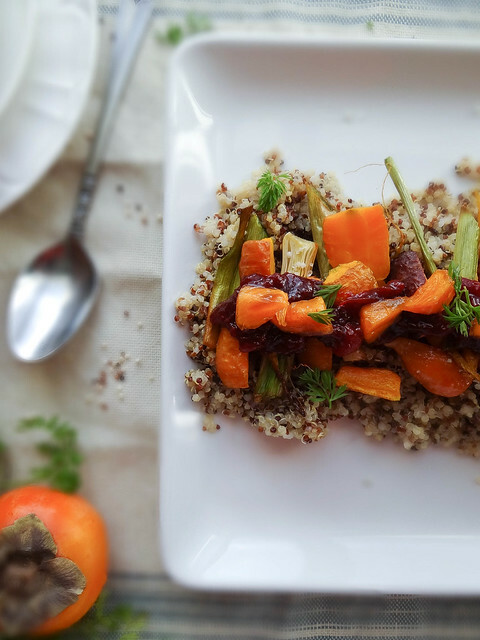 Melissa from Vegan Fling is sharing another amazing recipe! Hi Everyone! 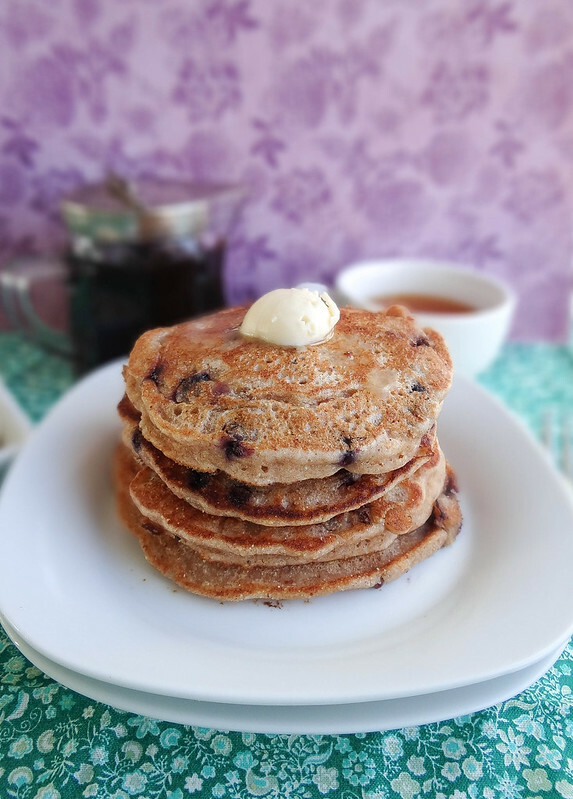 I'm so happy to be once again guest posting on Sunday Morning Banana Pancakes! I adore Heather and her space here and am excited to be swapping recipes with her today. Today I am sharing an old family favorite - the Magic Cookie Bar over at the Vegan Fling! Make sure you stop by and give Melissa some love - she has such a great Blog and is pretty awesome too. 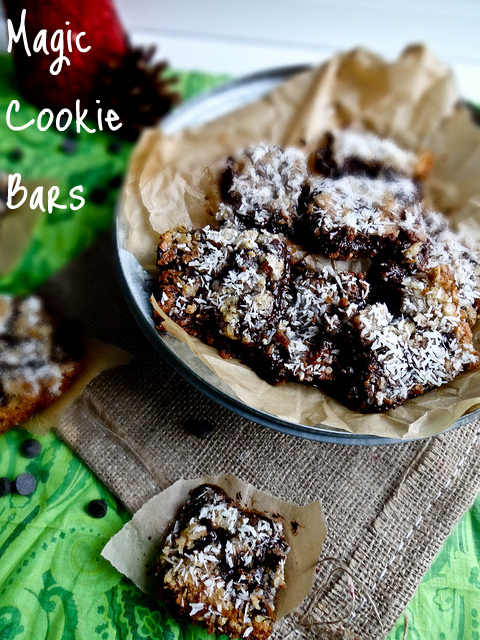 Oh, and don't forget to try out the Magic Cookie Bars - they're amazing! When asked "what Christmas cookie do you like the best" Justin will respond with one of two answers - the little round sugar coated ones (noel nut rounds) or the peanut butter cookies with the Hersey kisses. I had to break the news to him that Hersey kisses are not vegan - he responded with " you could totally make your own!" - yeah okay, keep dreaming - Cara from Fork & Beans whipped up a batch of Kisses in February and made it look pretty simple, but I was feeling lazy plus she is pretty amazing so I opted to go with chocolate pieces. Which for the record works just as well and well, it's probably surprise but tasted exactly the same as a Hersey kiss! All it takes is a little bit of snow to get me into the holiday spirit. The first day of December broughtt with it a soft snow that fell throughout the day - it was so magical. On went the Christmas music and out came the cookie making supplies - I couldn't resist making a few batches of holiday cookies to surprise Justin with when he came home from work. Exciting news! 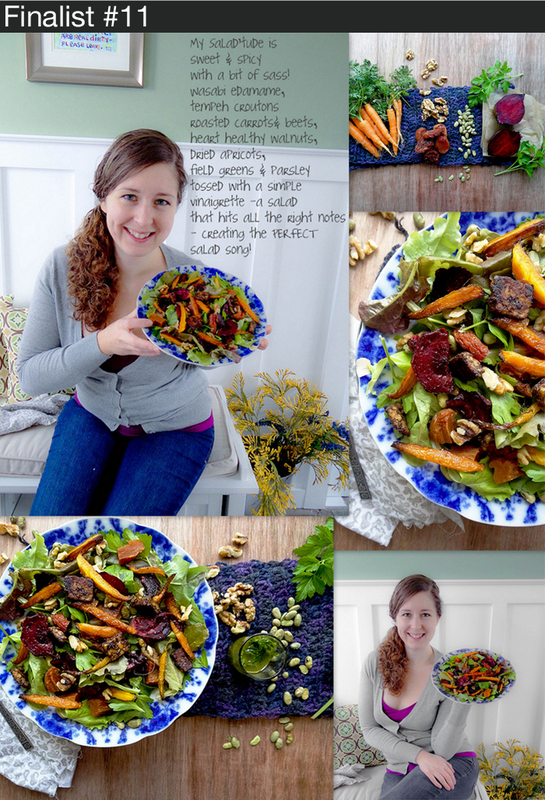 I am a Salad'tude Finalist over at Happy Healthy Life - I would be forever grateful if you popped on over and voted for me, it only takes a moment and is super simple. Thank you so much for your support & vote! Justin and I have a few food traditions that began early on in our relationship - Sunday morning breakfast and Friday night pizza, beer & movie night. We have continued with these "dates" religiously, hands down Sunday's and Friday's are my favorite days of the week. 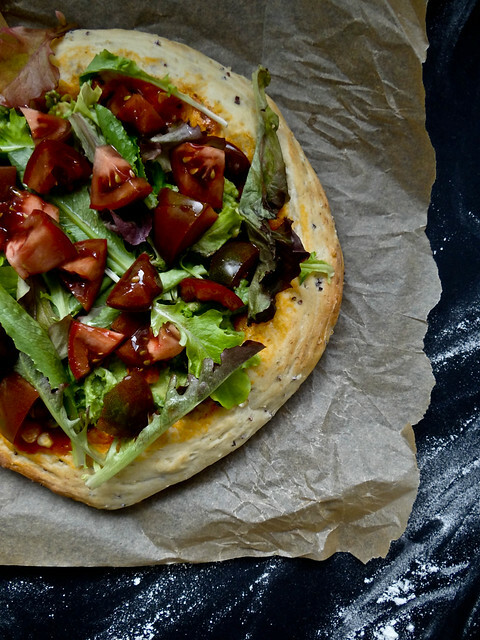 I love salad pizza's, a warm pizza loaded with veggies and topped with fresh greens - this pizza has a Mexican flare which I love and topped with a healthy dose of greens & fresh tomatoes, which I love even more. I just realized for a blog named "Sunday Morning Banana Pancakes" it is lacking in the pancake recipe department. The thing is, Sunday is the day we enjoy our pancake tradition and unplug from the rest of the world. So photographing our Sunday Pancakes is not a priority, eating them and drinking tea or a champagne cocktail is - yes, we have our priorities straight. The day before Thanksgiving marked the official end of the garden, the last of the carrots and leeks were harvested for our big Thanksgiving Dinner. Luckily, there were more carrots and leeks than needed for Thursday's dinner leaving me with a nice little stockpile of orange beauties and tender stalks of pale green goodness. After our decadent meal and loads of sweets I was certainly looking forward to a lighter healthier weekend lunch and better yet, put to good use some of the last of my garden's bounty. How excited was I when I received an invite to Kristy's Cookie Swap - um, super excited! Kristy from Keepin' it Kind is amazing, she truly is a blogger that I look up to - she has an amazing heart, is adorable and creates mouth watering recipes. How could I say no? 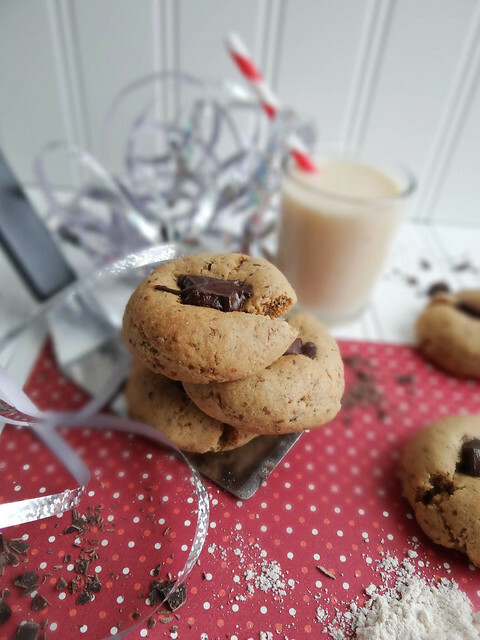 I would love for you to head on over to Keepin' it Kind for what I hope will become a yearly tradition - make sure you check out the other cookies & treats brought to the swap by some amazing Bloggers! 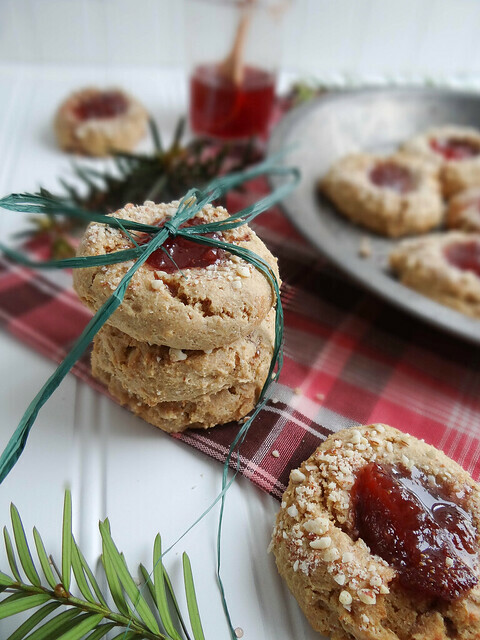 Simply click on the link to be whisked away to Keepin' it Kind for sheer cookie bliss -including of course my Noel Nut Rounds. 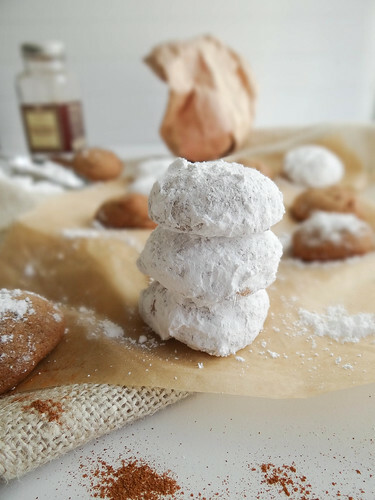 And one more thing, make sure you stop by throughout December for more amazing cookie recipes as the swap will continue up until Christmas.